Buy the Ebony tee and dress sewing pattern from Closet Case Patterns, it is perfect for starting your love affair with knits. Make a swingy knit dress or modern cropped top, with your choice of scoop or jewel neckline, and long or 3/4 sleeves. 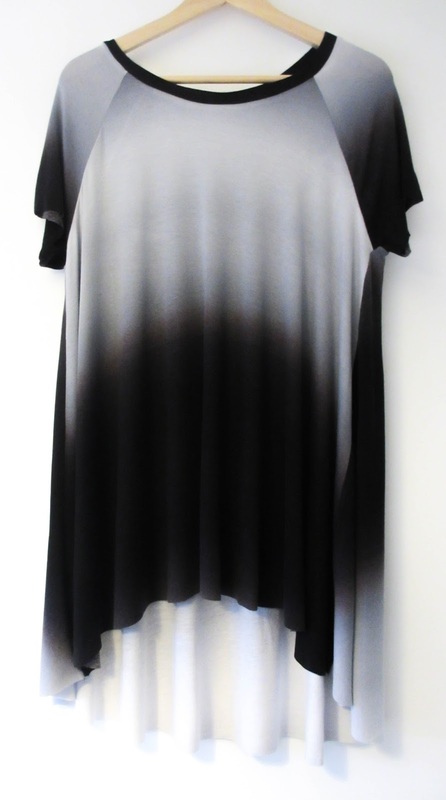 For the ultimate leggings companions, make an Ebony tunic, with a cascading hem and short raglan sleeves. 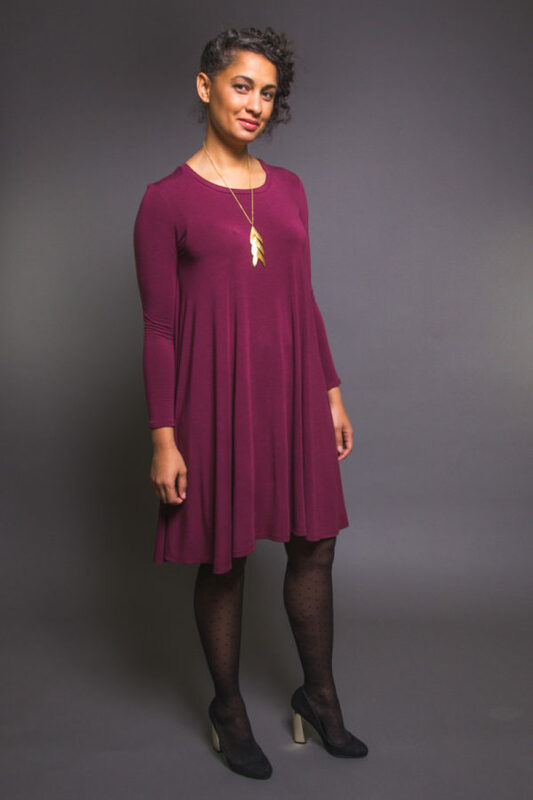 All necklines are finished with a knit band. What we think: This is a great basic and one that you can whip up in an afternoon. 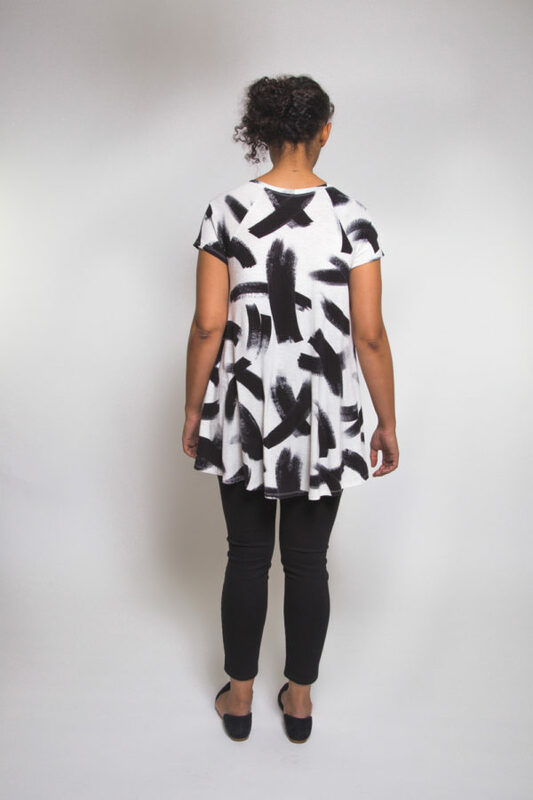 The flared shape means it skims over problem areas and it’s got great potential for colour blocking. 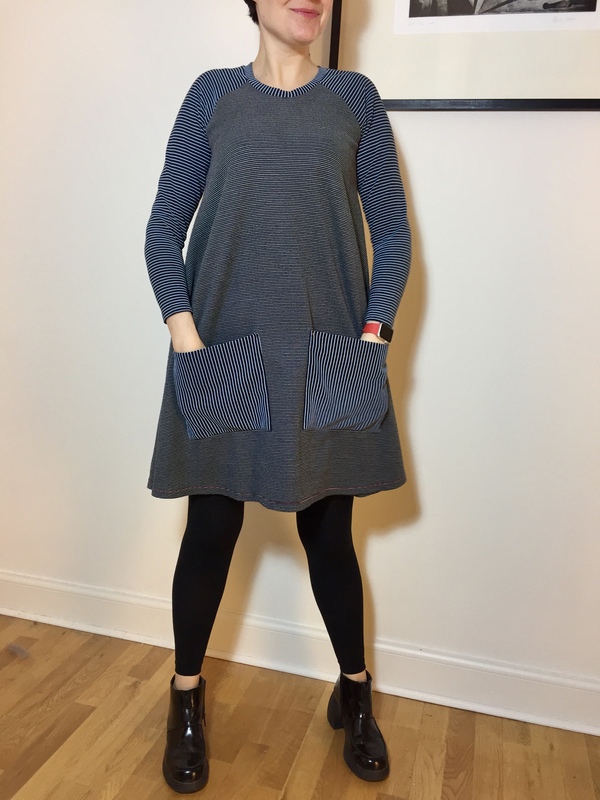 The Ebony dress is quite a different style for me, but I had fabric that seemed like it would be perfect for this pattern so I decided to give it a try – and I’m glad that I did! 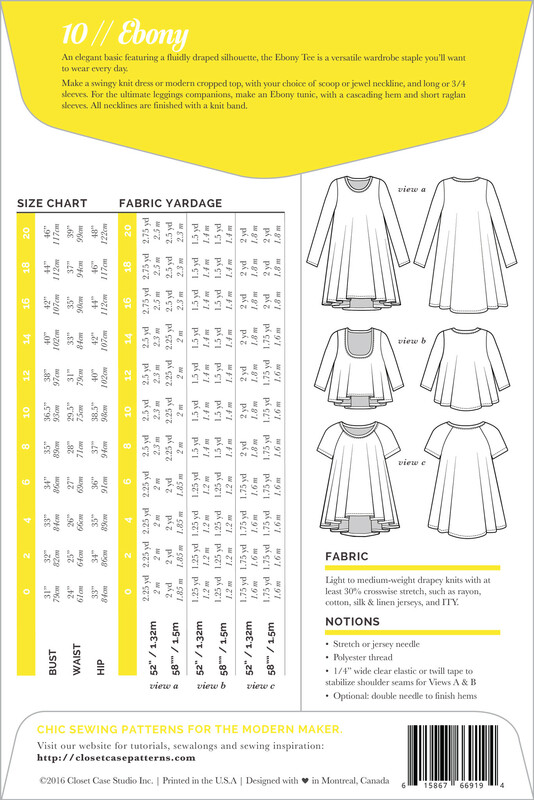 The pattern itself is great – simple and quick to sew, and the instructions are very thorough and detailed so you can’t really go wrong. 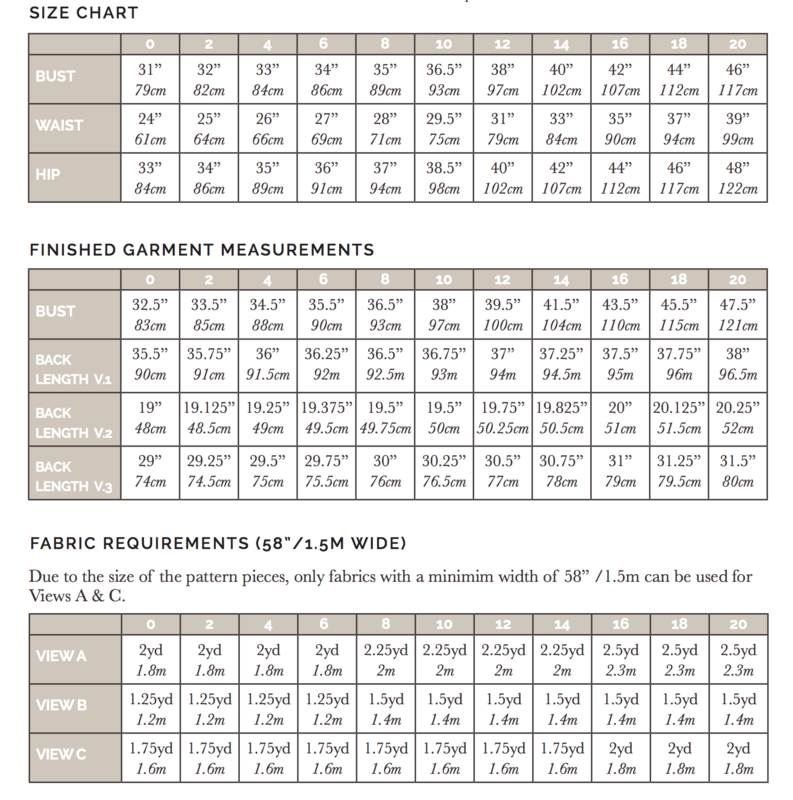 I made a size 12 based on my bust measurement, and that worked out nicely. You only really need to worry about the fit on the shoulders and arms for this pattern, and they both fit me nicely. I lengthened the dress by about 1.5 inches, which is fairly standard for me. If I make it again, I’d also lengthen the arms just a touch but they’re OK as they are for this version. The dress is (unsurprisingly!) so comfy! 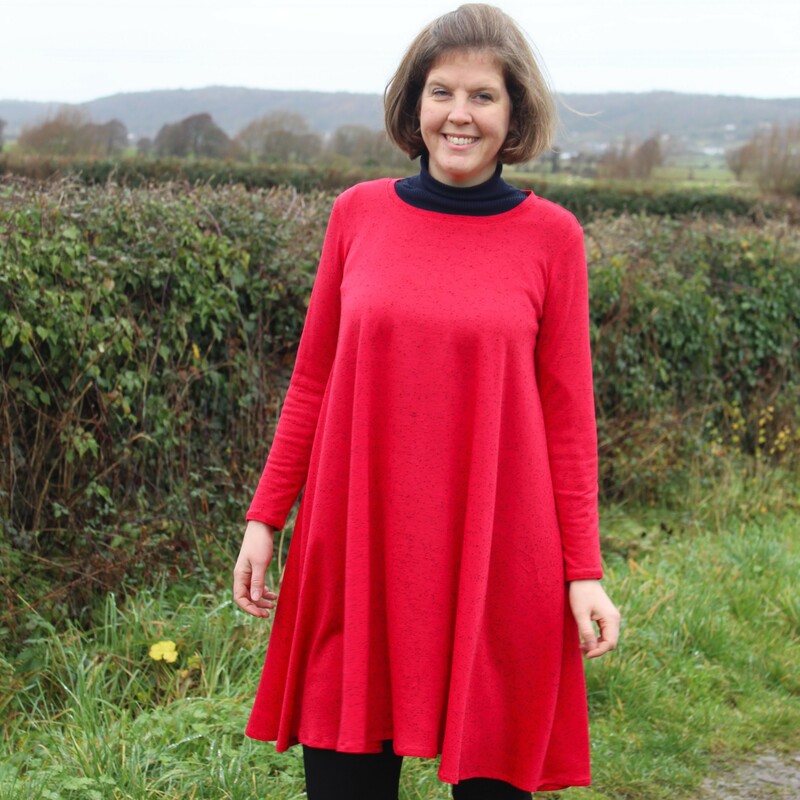 I think it looks nice layered over a roll neck top, which makes it nice and cosy for winter. It’s not a conventionally “flattering” dress, but I feel good wearing it so that’s all that matters as far as I’m concerned! I am a huge Closet Case fan. 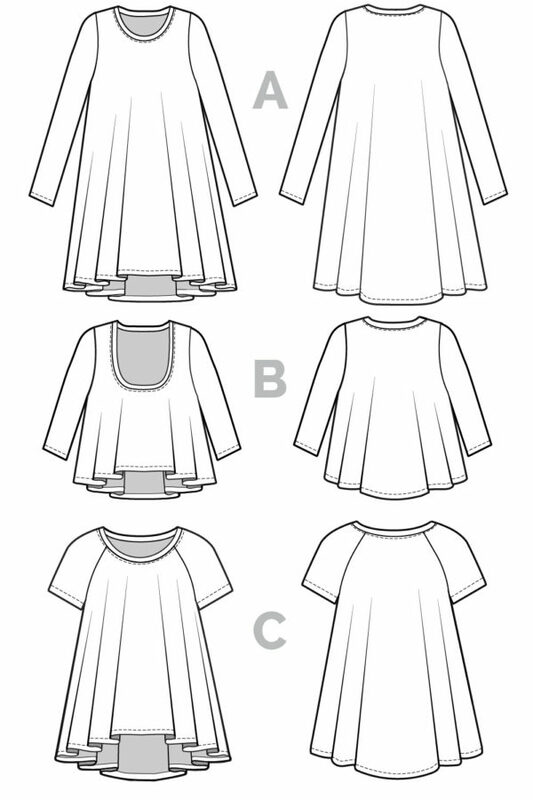 The drafting and the styling of the patterns just work for me and I’ve made many of her patterns. The Ebony is no exception. It’s quick to sew and easy to fit / adjust. 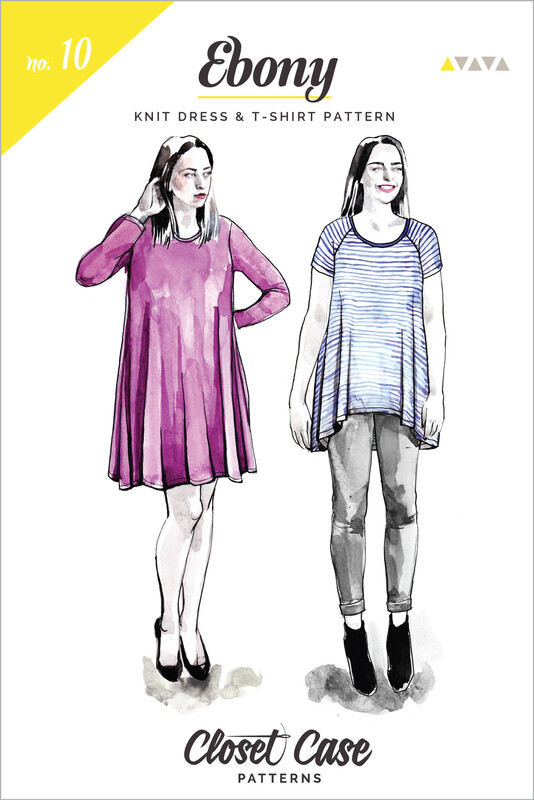 If you’re new to sewing with knits, this would be a good place to start. 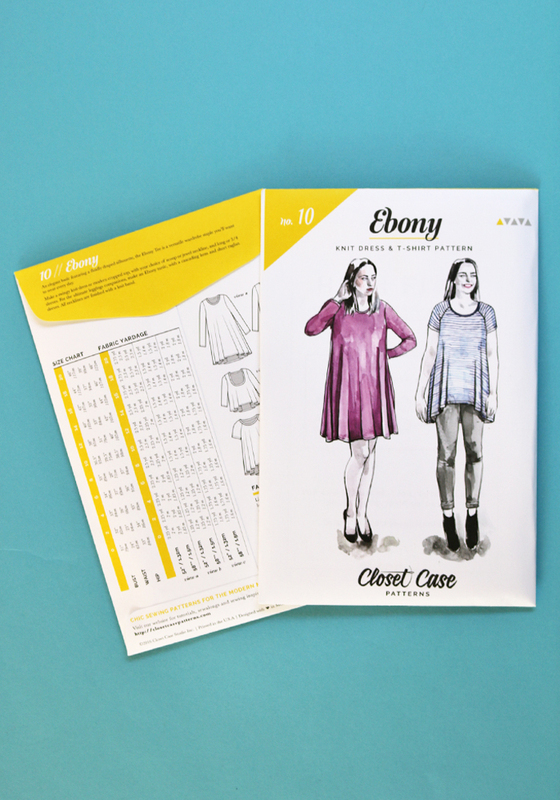 I love the shape of the Ebony plus the fact that you can choose length, sleeve type and neckline- great value! It’s also a super fast sew. I have made three…more detail on the how and what of those on my blog. 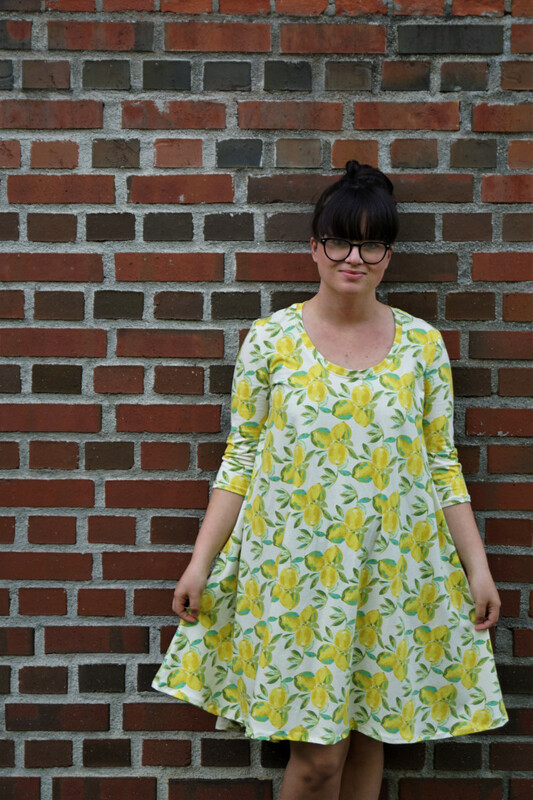 I made the ebony in a lemon knit from art gallery fabrics. 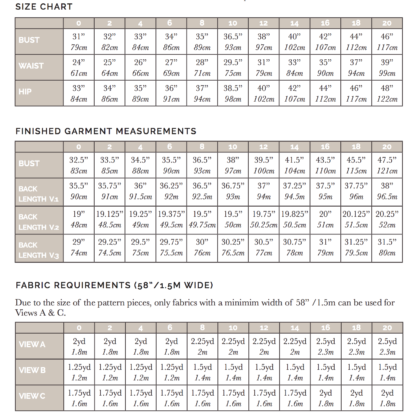 It is a easy prosject for a beginner in knits, just the hemming takes time and needs to be done right not to get bulks. I do not realy love the shape, but it helped me to put in a fabricbelt.